It’s been a fairly photo free week for me as I’ve been busy with work and other things. 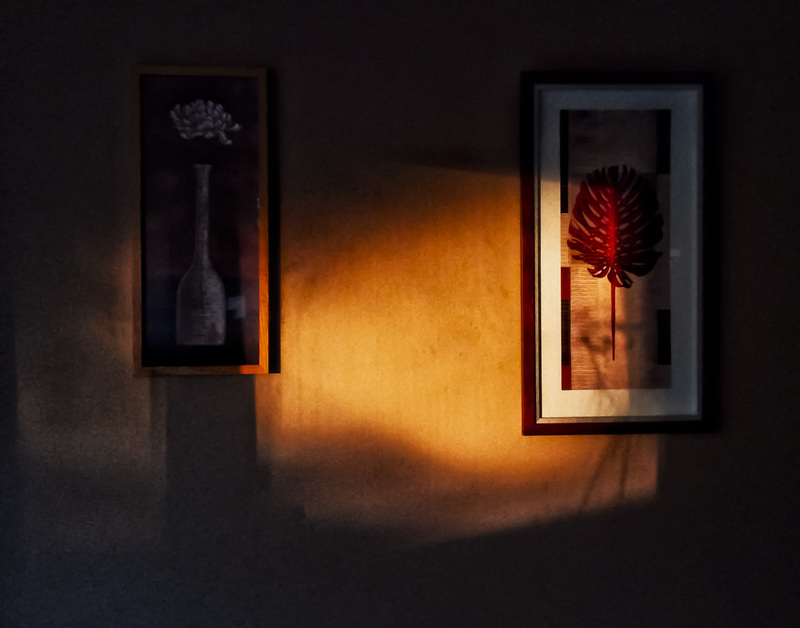 I’ve only managed to take pictures with my mobile phone, like this one of the low sun shining in onto a wall in the kitchen. 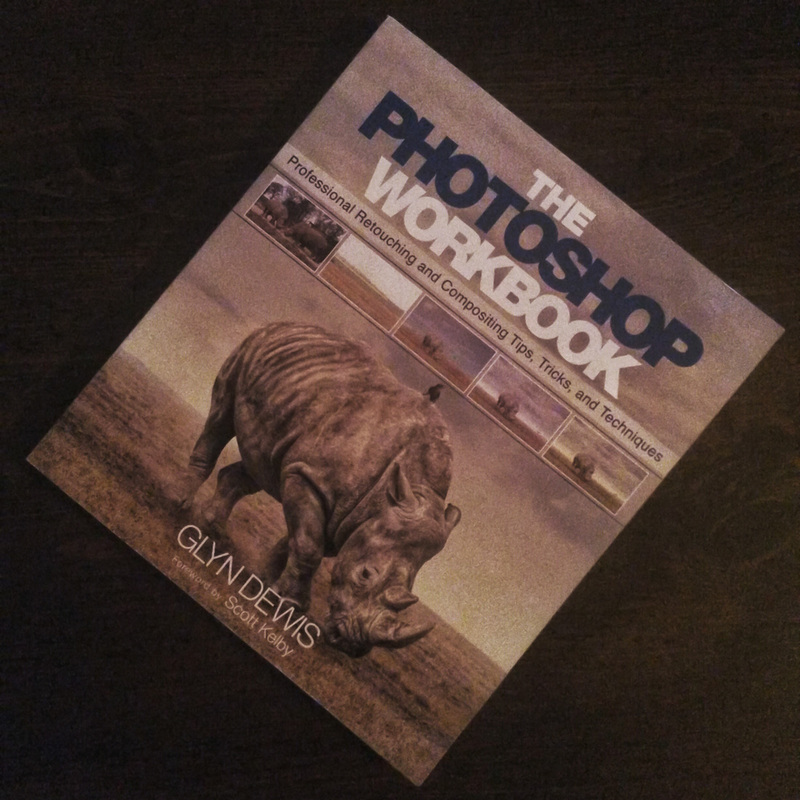 However I did get a copy of Glyn Dewis’ fab Photoshop Workbook this week that I’m really looking forward to reading. Glyn is an excellent photographer, trainer and retoucher – I’ll do a post on him in a couple of weeks to tell you more, once I’ve read a bit of the book! So in the end I got to Wednesday morning (the last day of the weekly challenge) and didn’t have a shot for the theme of the week – Headgear. My first desperate attempt was to flip my tie up onto my head and snap a selfie in the lift at work. Thankfully it was awful, as I was rushing in case someone got in and wondered what on earth I was doing. My backup plan was to go into town at lunchtime and try a bit of street photography and I’m really glad that I did, as I managed to get a couple of snaps of people with headgear including one that I really like. 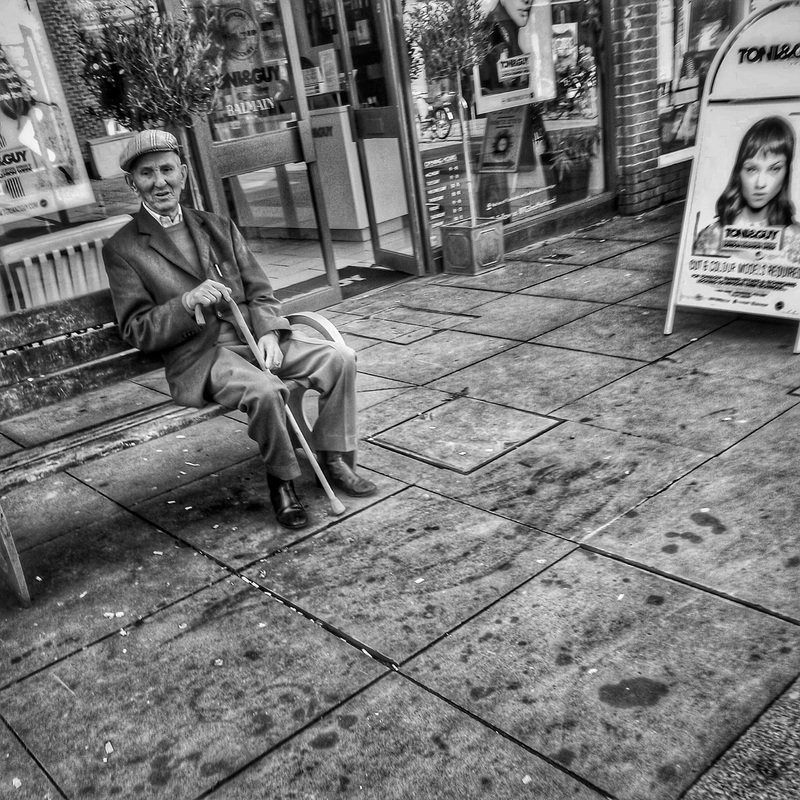 This is my favourite of the week, taken as I strolled past an old man sitting on a bench outside Toni and Guy Hair salon. I don’t think he noticed me taking the picture – I was surreptitiously looking the other way – but he is looking straight into my phone. Processed with Snapseed which is my current go-to app for mobile shots and making use of the HDR filter.